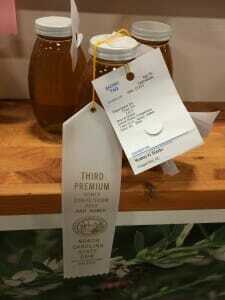 Our honey won Third Place at the 2015 State Fair in the Amber Honey category. Amber honey is one of the most common types of honey in central North Carolina so there were many entries from the local area. It was quite a surprise and honor for us to place third.